We are a known name in manufacturing and exporting of wide range of Round Lock Scaffolding Systems. 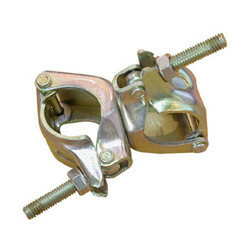 Furnishing the changing needs of our patrons, we are offering a splendid spectrum of Ringlock Scaffolding. Widely appreciated for their precised dimensions, longer life, reliability and fine finish, these offered products are highly demanded. Besides this, we are offering customization facility for this range to our customers. We offer Construction Scaffolding Pipe to our clients. Interested in buyers from Nagpur, Telangana, Maharasthra, M.P. 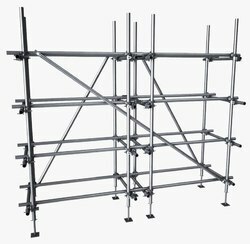 We offer the top series of H Frame Scaffolding for our valued clients. These products are employed in numerous purposes in the market. Made out of 40 NB pipe. Our clients can avail from us superior quality Cuplock. These Cuplocks are appreciated by large number of clients due to high quality and durability. These products are available in market at most economical rates. Tubular Scaffolding is often used as a working platform when you need to reach over your normal reach or height. There are other alternatives to using scaffolding for example ladders or even stilts but scaffolding remains one of the safest methods of gaining additional height or creating higher level working platforms.